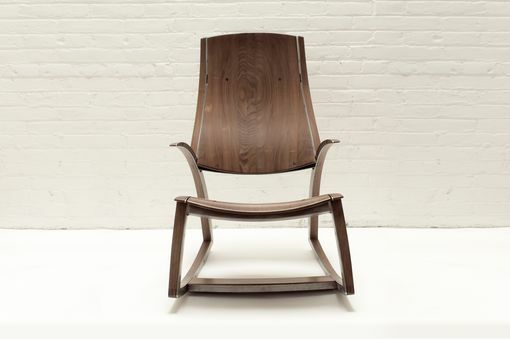 The form of Rocking Chair No. 1 puts into question how the construction is possible in wood. 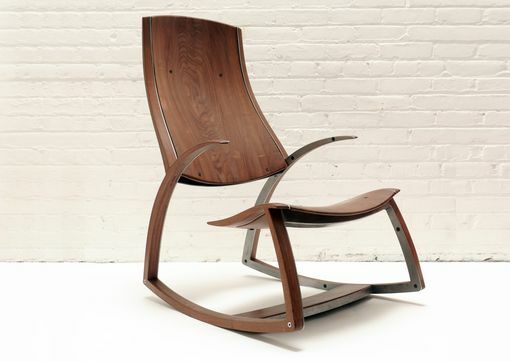 The elegant shaping of the walnut conceals a steel skeleton making this cantilevered chair possible. 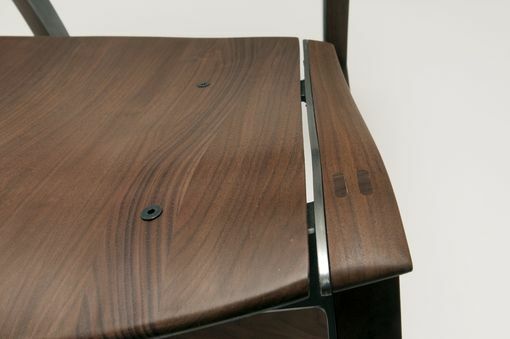 The compound curved solid walnut seat and back bring a warmth and hand shaped feel to this often industrial feeling material composition. 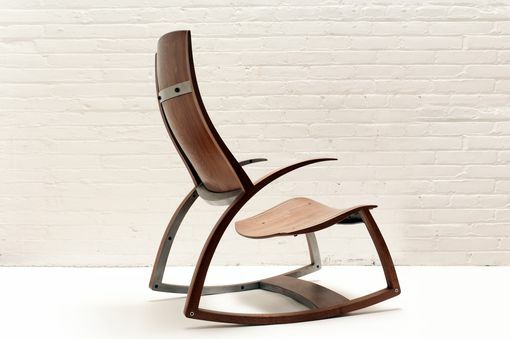 The cantilevered construction of this chair allow the seat and back to slightly sway side to side independent from one another bringing additional dynamic movement to the rocking chair. 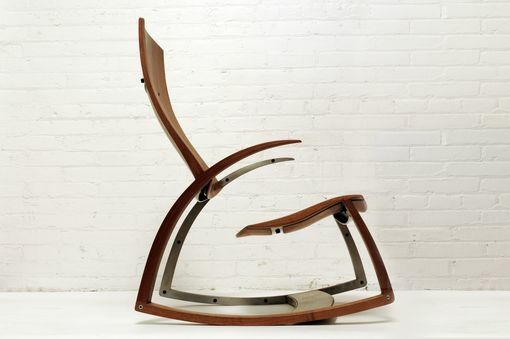 An incredible user experience guaranteed from first sight through years of sitting. 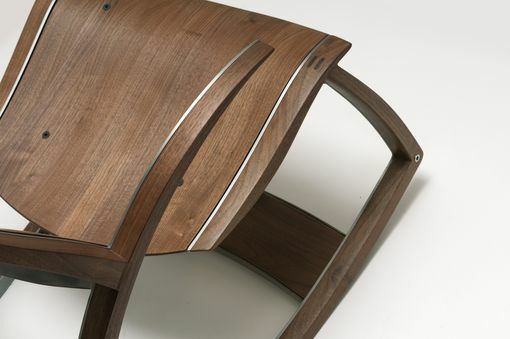 Each piece is made to order, which makes it customizable in dimensions, wood species/tones, and upholstery. The piece pictured is available for immediate sale. Please contact seller prior to purchase to get a quote on shipping.